An injury accident occurred on Saturday, May 5th at 12:15pm on US56, 4 miles west of Boise City, Oklahoma, on US56 in Cimarron County. 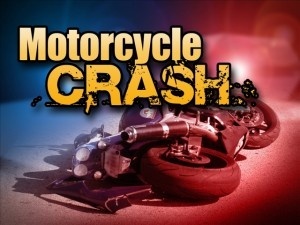 A 2005 Harley Davidson motorcycle driven by Manuel Aguilar III, 52, of Boise City, struck a 2012 Harley Davidson motorcycle driven by Samuel Hunt, 50, of Goodwell OK. Aguilar went over the handlebars and struck his head on the pavement. The 2005 Harley then struck a 2009 Harley Davidson motorcycle driven by Miles Swanson, 43, of Springfield, Colorado after continuing on the roadway. Aguilar was transported by Keyes EMS to Cimarron County Hospital in Boise City, Oklahoma. Admitted in stable condition a with head injury. Swanson and Hunt were not injured. Cause of the accident was determined to be following to close.